Address lookup solutions allow customers to quickly input and validate address details as they go through a sign-up or checkout process. Address lookup tools shorten form length and can significantly reduce the time it takes to complete a form. This will almost inevitably improve your conversion rate. By allowing your visitors to enter their address more easily, especially on a mobile device, address lookup solutions can significantly improve form completion rates. 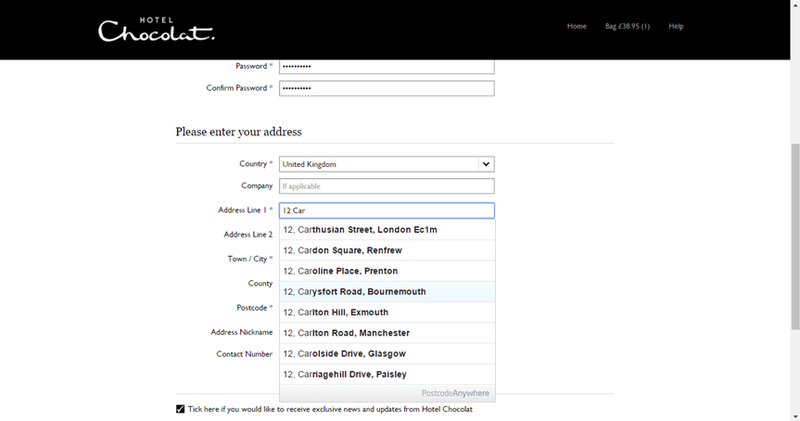 Hotel Chocolat achieved a 19% uplift in each step of their basket funnel following implementation of a smart address lookup solution. Real-time address verification also improves the accuracy of data by correcting typos at source and enhances the effectiveness of your marketing campaigns. Address lookup APIs also reduce delivery problems as they improve the quality of your customer database. Additionally, address lookup APIs help combat fraud by identifying when bogus information is being entered. Call centres can also use address lookup API solutions to capture and validate customer details. Shelving retailer Tufferman significantly reduced both outsourced call centre costs and shopping cart abandonment on its website. Using PCA Predict’s address lookup API and validation solution the call centre was able to cut the time it took to take an order by between 30 to 60 seconds, making a huge cost saving and also improving the customer experience. When implementing an address finder check it regularly. I recently came across this address finder on the betfair.com desktop site. When I selected the address from the drop down menu it only populated the first input field and the other fields were left empty. This triggered an error message because the Town and Postcode fields were not populated. This made the address lookup pointless and probably reduced their conversion rate as it would annoy visitors. For optimising online forms see our post ‘62 web form design best practices‘ to improve your form completion and conversion rate. Address lookup tools are a proven way of increasing your conversion rate, but there are many other aspects of web form design that can influence user behaviour and conversions. 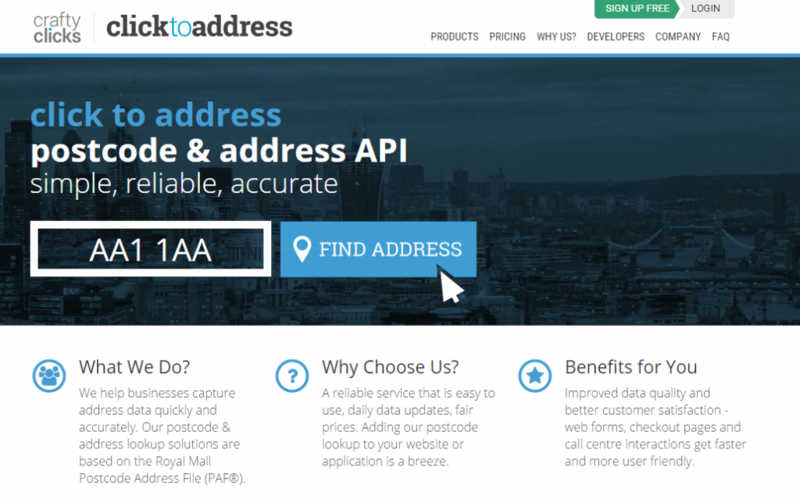 We have summarised below 14 top address lookup solutions and APIs for address verification. over 240 countries. The Fast Completion service will verify an address as a visitor enters each part of it and will auto-complete with the best match. This is ideal for organisations that need to validate information quickly, such as online retailers. validates international addresses on desktop, network or internet. 3. 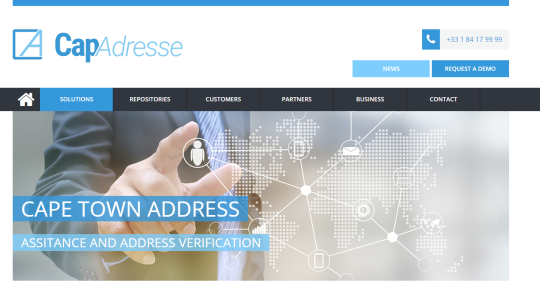 CapAdresse: Offers an address lookup solution that will verify addresses in 192 countries. It offers solutions for entering an address in a single line or multiple fields and uses real-time validation to improve data quality. 4. CraftyClicks: A UK and Global address look-up solution that uses the visitor’s post code in the UK to provide a list of addresses for the user to select from. 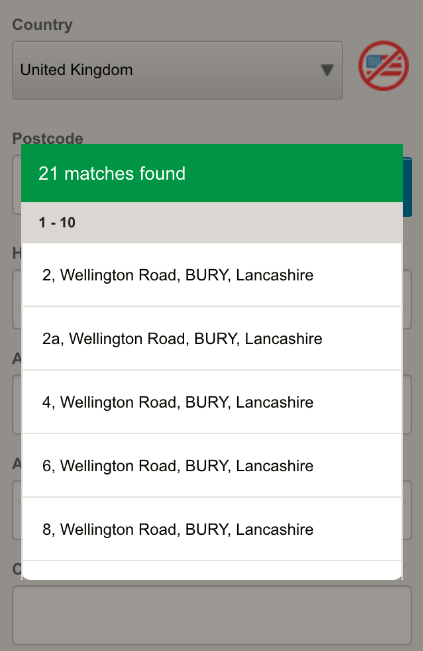 Also offers a Geocoding API to calculate distance between any two postcodes in the UK. Updated from the Royal Mail PAF database. The global solution allows visitors to enter either their zip code or street name to provide a list of possible addresses. 5. Data8: A global address lookup provider that offers a comprehensive range of data validation, cleansing, supply, and management solutions. Data8‘s shopping cart web services includes auto-fill validation, address, phone, and email validation. 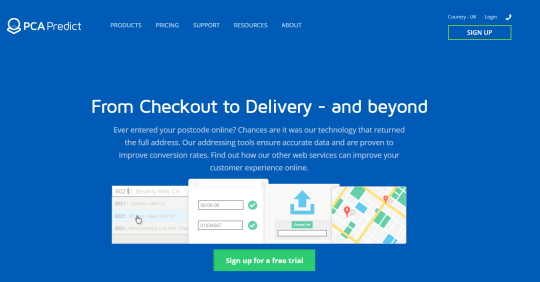 For web forms and checkout Data8 has two solutions; PredictiveAddress which uses predictive search technology to auto-complete addresses, and for the UK, PostcodeLookup, which retrieves addresses from the Royal Mail’s Poscode Address File (PAF). Data8 also integrates with leading shopping cart solutions including Magento, Opencart and Prestashop. solution is worth checking out as it’s free! However, the solution is not recommended for the UK as Google are unable to use the Royal Mail’s database. 7. 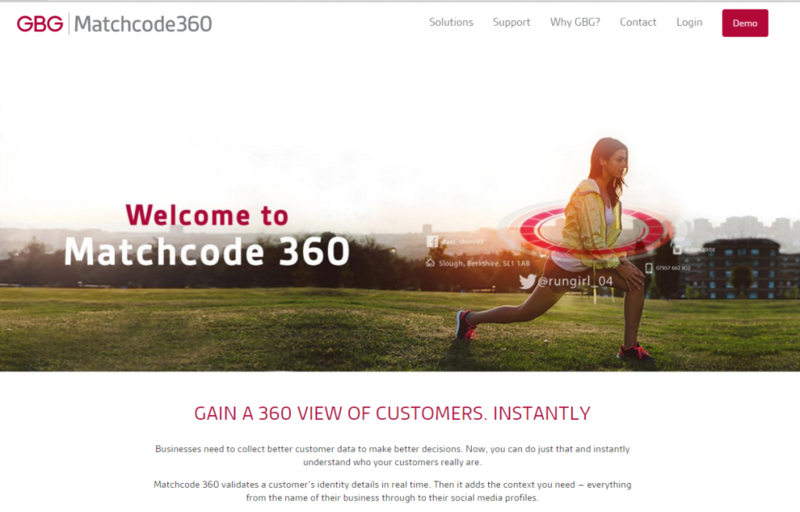 Matchcode: Provides UK and global postal address lookup, email address, mobile and landline telephone number validation. Covers over 240 countries and includes commercial, names and geo-coding datasets. Software is easy to use, install and integrate across all major platforms and applications. 8. Melissa Data: Their API parses, standardizes and validates U.S. and international addresses for over 240 countries and territories. The solution puts addresses in the standardised mailing format for each country and supports any UTF8 language. The tool will also add missing components, including post codes, region etc. The Express Entry solution uses type-ahead search functionality that makes it easy to enter and complete accurate addresses with up to 50% fewer keystrokes. It works on both U.S. and international addresses. Real-time email inbox verification removes up to 95% of bad emails and ID verification will add missing address, email ad phone information. 10. Postcoder: Offers solutions for address lookup, auto-complete, validation, geocoding, IP address to location and email validation in over 240 countries. 11. 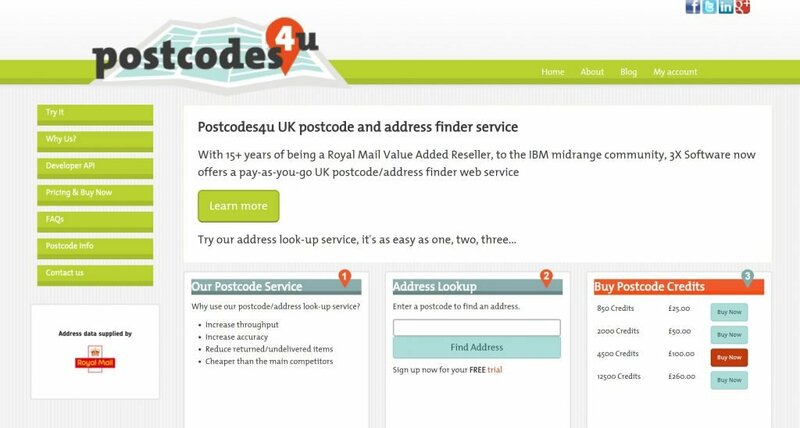 Postcodes4u: A pay-as-you-go UK postcode and address lookup service. Over 15 years of being a Royal Mail re-seller and updated from the Royal Mail’s Postcode Address File (PAF) of over 28 million addresses. 12. 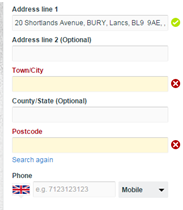 SimplyPostCode: A UK address lookup solution that uses the visitor’s post code to provide a list of addresses for the visitor to select from. Updated daily from the Royal Mail PAF database. 13. Smartystreets.com: This is a global address look-up solution which performs look-ups in real-time to fill out missing information and standardise addresses. It offers an autocomplete service so that it can suggest addresses as the user types. It can also find and verify addresses out of arbitrary text. 14. Streetlayer: An international address data analysis, verification and auto-complete solution. 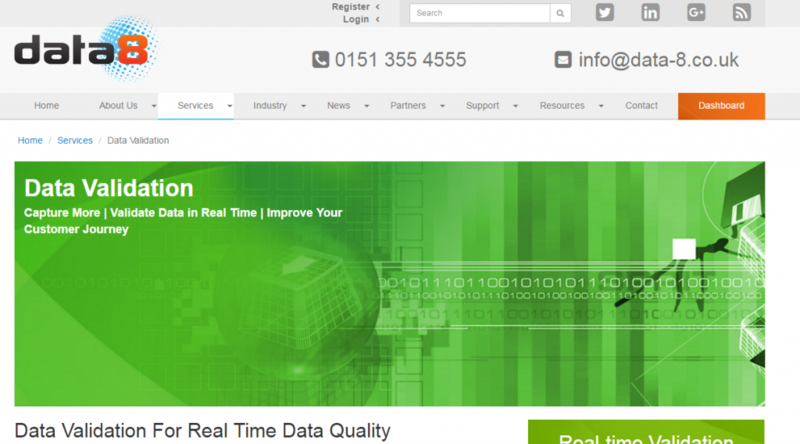 Maintain high quality customer data by analysing, validating and formatting international addresses in real-time. The solution offers a simple and secure API using an easy to integrate GET URL structure. It offers full address verification, auto-complete with post code filtering, geocode look-up, reverse validation and standard address formatting. Address lookup and verification tools are win-win solutions as you will improve the usability and conversion of your forms. At the same time you will also benefit from better quality customer contact data for your marketing activities. Not to have an address verification and look-up solution is definitely a false economy. 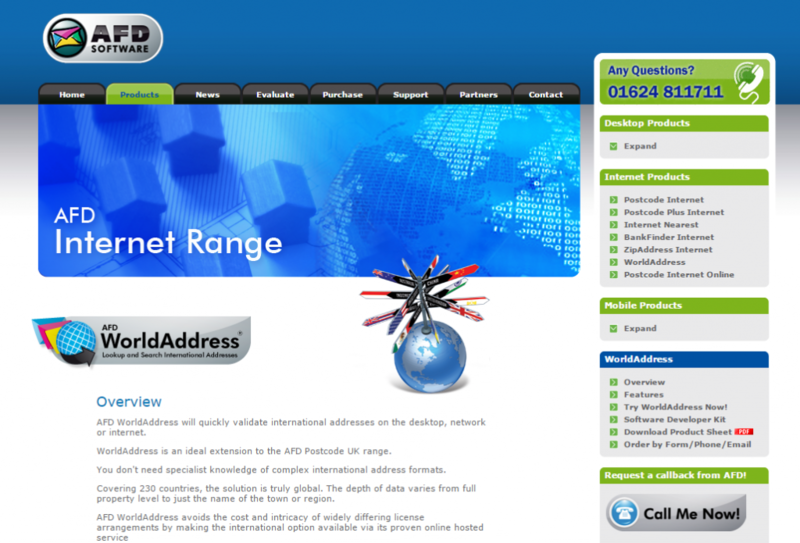 Address lookup solutions for the UK and international addresses is essential for a good user experience. Most people now expect sites to have an address lookup solution to minimise the data they input. This is especially the case for mobile devices. Don’t let you customers down and invest in an address lookup tool and API for creating the best customer experience you can. If they have any questions, we offer free tech support at 1-877-216-8883.